Hard working and great with money, the Chinese Zodiac Rat’s business acumen is legendary in China! Quick movers and thinkers those born in the Year of the Rat can sum up a situation and act on it light years ahead of others. In this, Rats are perhaps the most auspicious Chinese symbol for success and wealth. This Chinese animals is usually very social people with charming personalities. The Chinese Zodiac Rat communicates in an honest and straightforward manner. Making great detectives, the Chinese Rat has almost x-ray vision in their ability to see details even the most discerning person would miss. Those born in the Year of the Rat seem to have a heightened sense of awareness as it pertains to danger. Thus, making it easy for this zodiac sign to escape harm in business, relationships, and life in general. Rats also have amazing memories. Though the Chinese Rat is excellent at keeping their owns secrets, others may not be safe. Though they are honest people, Rats have no qualms about using other’s weaknesses or mistakes to their own advantage and they tend to gather this type of information very easily as they are incredible gossips who are always nibby-nosing in other people’s business. Easily agitated, they are fueled by nervous energy. Rats can be tightwad and their biggest downfall may be that they are extremely greedy; tending to want too much far too soon. Each of the 12 Chinese New Year animals has an ascribed fixed element which affects their basic personality. In addition, the element belonging to one’s birth year is a secondary influence on who they are, can and will be, etc. Always seeking to advance themselves the Water Rat focus is on education and career. Traditional, conservative, calculating (in both good and bad ways) and terrific communicators. Those born in The Year of the Water Rat are extremely traditional and conservative. Seemingly counter to these personality traits, this Chinese animal is also among the shrewdest and most calculating of all the Chinese zodiac signs. Energetic, adventurous and flies by the seat of their pants the Fire Rat is big hearted, thrives on competition, actively seeks out the opportunity to save people and animals or do anything considered brave. Those born in The Year of the Fire Rat are generous in the extreme. And, since they will always follow their hearts over their heads, the Fire Rat must be careful about overextending themselves physically, mentally, emotionally. However, where the Fire Ray really tends to give it all away is in finances so it is important they pay attention to their own needs first when it comes to money and other financial resources. Emotional, idealistic and romantic the Metal Rat is a great financial investor who will not be stingy. Metal Rats are athletic and love to be around the movers and shakers of the world. Those born in The Year of the Metal Rat can be a bit hedonistic. They love to be in love but it is really the ‘idea’ of love that appeals to them more than than actually being in a relationship. Progressive, superbly confident, extremely principled and practical, the Wood Rat has an uncanny ability to know what it is that they truly want as well as how to go about getting it. Wood in their chart makes those born in The Year of the Wood Rat progressive thinkers because just as trees constantly grow, so does the mind of this Chinese Rat. It may be slow and steady but they always seek to grow (enhance) their mind, body and spirit. Conservative, conservative, conservative is the Earth Rat! Not to mention which this Chinese Rat is practical, a realist and most likely matured at an early age. In fact, the Earth Rat never really seems to be a child – even during childhood. Those born in The Year of the Earth Rat are very concerned with public perception and opinion of them and, so, they tend to mold themselves into being the ultimate girl and boy scouts. These Chinese animals usually amass a fortune or two but do so very, very, very slowly and surely. Relationships of all kinds are something the Chinese Zodiac Rat takes very seriously and they are very sentimental people who honor and cherish those whom they respect and love. Both female and male Rats are terrific homemakers so a Chinese Rat’s partner will most likely be treated to a warm, comfy and loving environment full of good smells and better tasting treats. Because the Chinese zodiac Rat has a remarkable memory, their love interests may be sure whatever they remark on will not be forgotten. 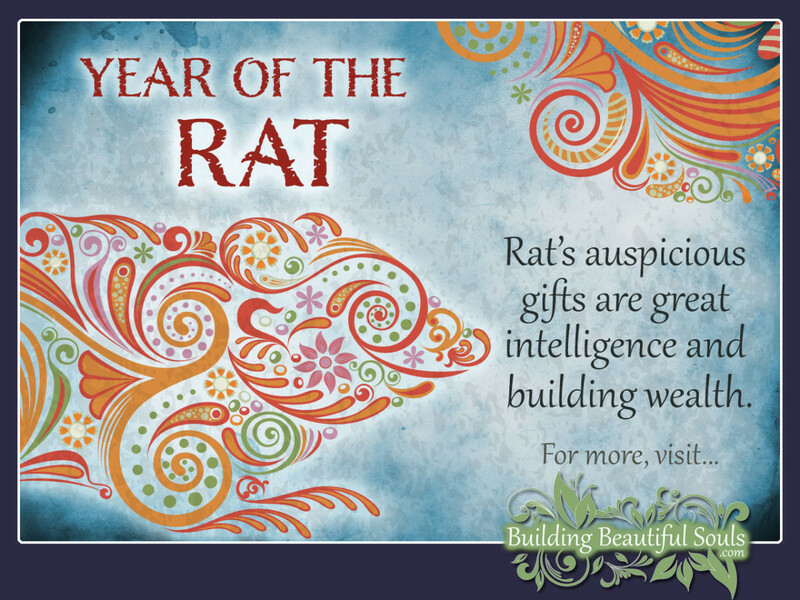 A little trinket they liked but have long since forgotten about, the Chinese Rat partner cataloged in their memory banks and bought a year later as a gift. The Chinese Rat is most compatible with the Chinese Dragon and the Chinese Monkey. Early developers, Rat children are bright, sparkling personalities who love to interact in social activities. They have a special gift with the written and spoken word and will show that early on. Because of this, books make great gifts for this child. Fairness is a big deal to the Chinese Rat child. They must make sure that they get at least the same size slice of pizza as all the other children. Very affectionate, Rat children have the tendency to be possessive of those they care about and can be overtaken by jealousy if they don’t perceive that they are getting enough attention.